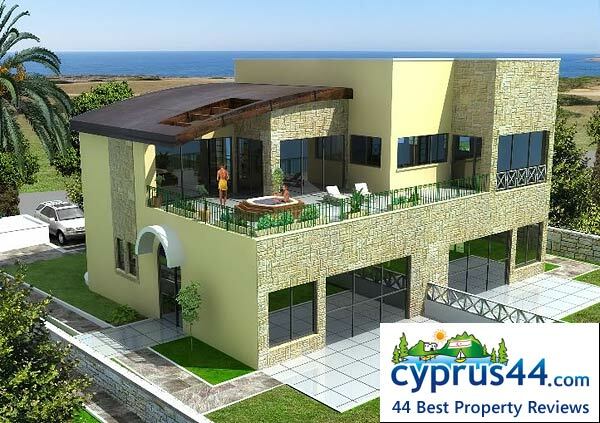 Sea & Sun Bay is one of the best properties listed in Cyprus44 property reviews. 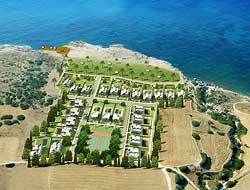 Sea and Sun Bay may be a new name on the North Cyprus hot property list, but the developers, Dumika, have a proven track record of North Cyprus success with their Caesar Resort near Famagusta. Dumika Construction Limited brings together three established and experienced companies in international development and construction, and international finance; A.S.Afik Ltd, I.S.E Consulting & Directing Ltd, and The Outdoor Company Ltd.
Sea & Sun Bay at Akantao is situated in perhaps the best North Cyprus property hotspot of all, the desirable section of land east of Kyrenia between the Korineum golf course in the hills at Esentepe, and the new marina. Sea & Sun Bay makes the most of its coastal location, which is just a 10 minute drive for golf and five minutes to the marina, and all its rapidly-expanding amenities. The Sun and Sea Bay complex has been designed to maximise the beautiful coastal position. 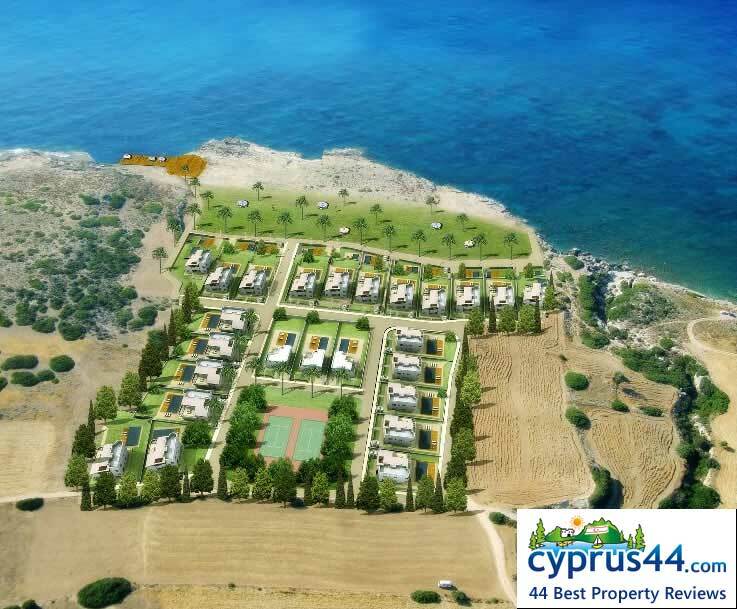 The walk to the sea must be one of the best at any development in North Cyprus, as you stroll across an elegant palm-tree dotted green space to the pretty seashore beyond. The site boasts a good selection of facilities, so you can flex your muscles in the gym, or chill out beside the swimming pool. There is a coffee shop to meet up with friends, and a snack bar for when hunger strikes. You can stock up on essential supplies from the on-site mini market, or brush up on your golf skills on the mini-golf course. Children will enjoy the playground, if you can entice them away from the seashore! For those who need to stay connected to the outside world, Sea and Sun Bay has full Internet access, and an emergency back-up generator, just in case. At Sun & Sea Bay, you can choose from three styles of homes in the sun; apartments, penthouses and villas. The 274 sqmetre villas are of a striking design, with elegant curved roofs and a novel circular turret-style windows on the master bedroom that make these stone-clad villas a joy to look at - no dull white boxes 'indentikit' here. Outside, the gently curvaceous 10 m x 5m swimming pool at every Sea and Sun Bay villas is offset by decking, so much more comfortable on your feet on a hot summer's day than stone paving! You car will also appreciate the cool and security of the garage at the side of the villa, and there's plenty more shade offered by the generous garden areas both to the front and rear of the villas. Inside, the Sun and Sea Bay villas offer up to five double bedrooms, two en-suite double bedrooms downstairs, and three upstairs, reached via an elegant marble staircase. Conscious of the usual problems of insufficient power sockets, the developers have placed at least three sockets in every room, so no more hunting for somewhere to plug in the hairdryer in the mornings! The fully fitted kitchen comes with all the usual appliances and white goods, including a fridge freezer and an often-overlooked cooking necessity, an extractor fan. The penthouse apartments offer the same elegant curved roof design, giving a generous 108sqm of living space. 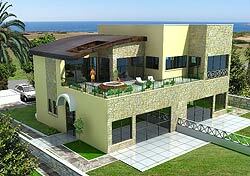 From the almost full width 36sqm terrace, you can enjoy great views of North Cyprus, or just relax in the sun. As you would expect from developments of this quality, each one of the three double bedrooms has en-suite facilities. The penthouse layout neatly divides the sleeping areas from the main living areas, both maximising the living space and giving a light and airy feel. The two bedroom garden apartments share the same high specifications as the penthouse apartments, with the added bonus of their own private terrace and garden area, providing both privacy and outdoor space. The Sea & Sun Bay development offers well-designed, well-built properties seafront properties in an established area already popular with both holidaymakers and buyers. This web page is served on 20 April 2019 at 00:02:36.